What kind of colors I can use in embroidery design? Print Provider offers 16 rich thread colors to choose from while creating your design. MyLocker is offering 16 rich thread colors to choose from while creating your design. 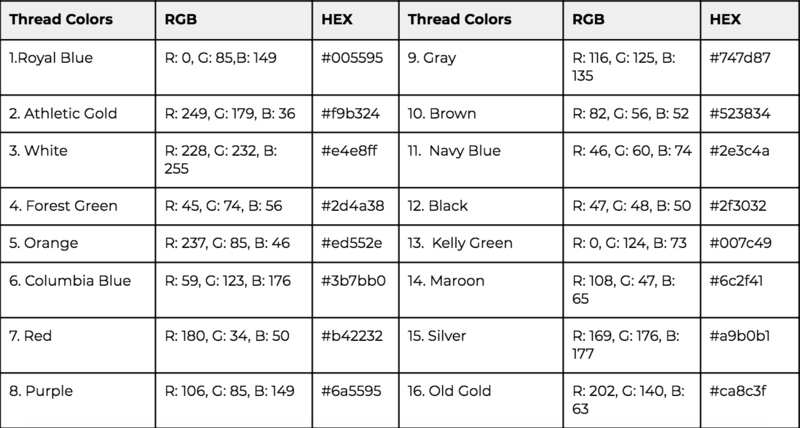 See the chart below for a full list of our available colors, with the RGB values and HEX code for each one. When creating designs, try to use the same colors, so the mockup image would be as close to real life as possible.